The Squall Lever Drag construction features a durable lightweight graphite frame and sideplates, recessed ergonomic drag lever, and top of the line Dura-Drag system to put your mind and muscles at ease. Its sleek design and tough components is what makes the Squall Lever Drag series a heavy hitter among lightweight graphite lever drags. 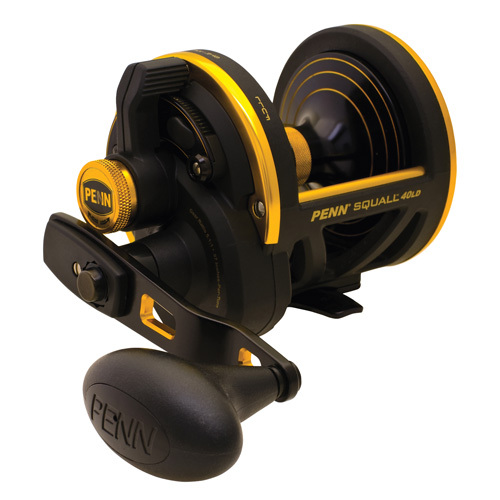 Function and ergonomics were on top of the list when Penn designed the Squall Lever Drag reels. Note that the lever drag does not protrude above the frame of the reel so there is no way for the line to loop over and hang up on the lever of the Squall Lever Drag which could result in a break-off. One less thing to worry about when the line pops out of the clip.